Not going to lie, when I found out suiting pieces were big this season, I got very excited. I have always been a fan of blazers because they immediately take an outfit from basic to elevated. When I first tried this blazer on, I knew it was love at first sight. 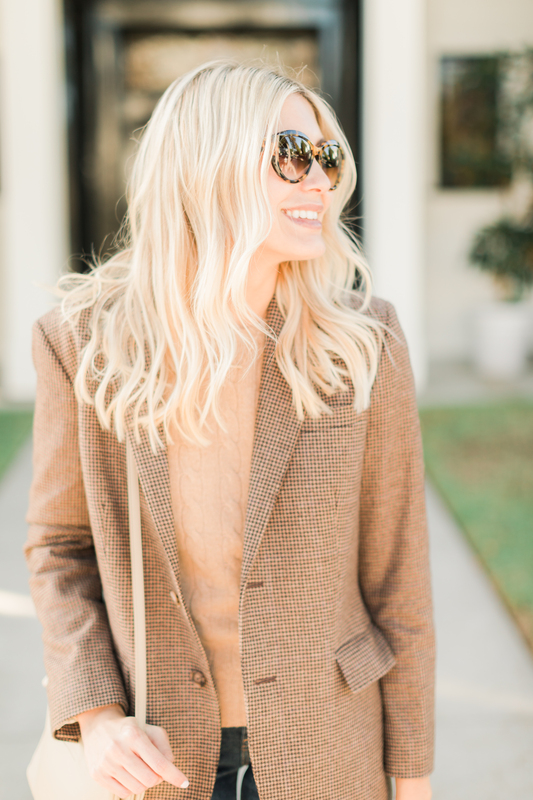 Not only is this the blazer you will wear on repeat all season long, but it is the perfect neutral color that goes with everything. It also is so cozy and warm which is an added benefit if you are always freezing like me. I also like to keep things simple with blazers. 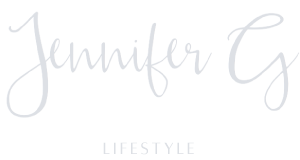 I typically pair mine with a great sweater or tee and a fitted pair of denim. I am also really loving the low heel trend and this pair is so cute and comfortable which is key. 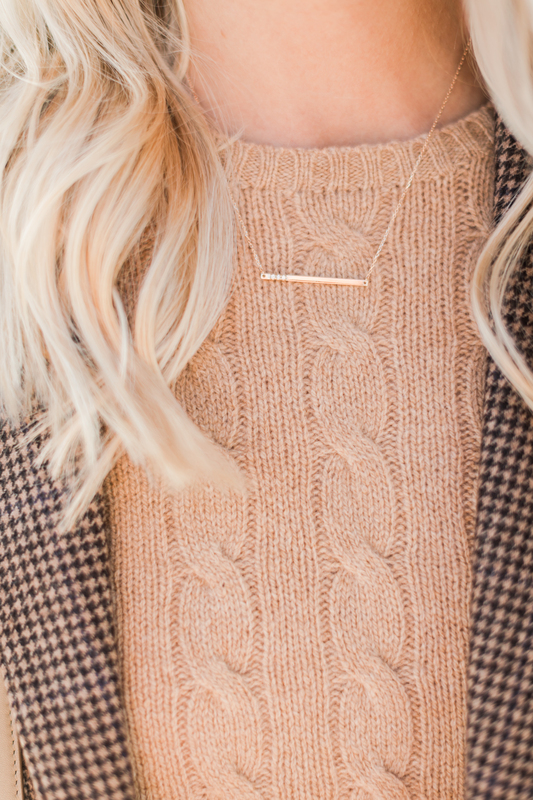 I love delicate everyday jewelry and this simple bar necklace has been my go to with everything as of lately. 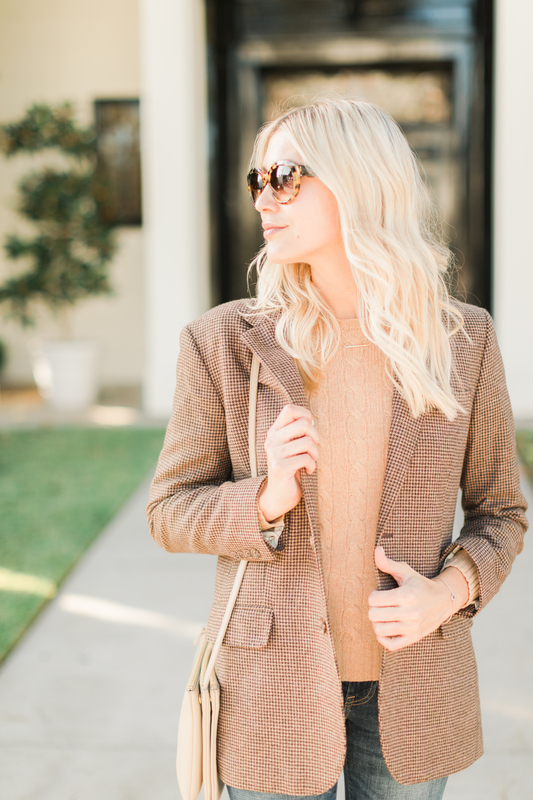 What are your favorite ways to wear blazers this season?